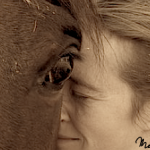 Before taking a test this afternoon that I definitely-probably did not fail, and I rode Farley on a quick trail ride. Farley either feels REALLY good after chiro, or heard me call her old earlier this week and decided to blow through aids and half halts like a FREIGHT TRAIN. Incidentally this is exactly how I feel after most endurance rides. 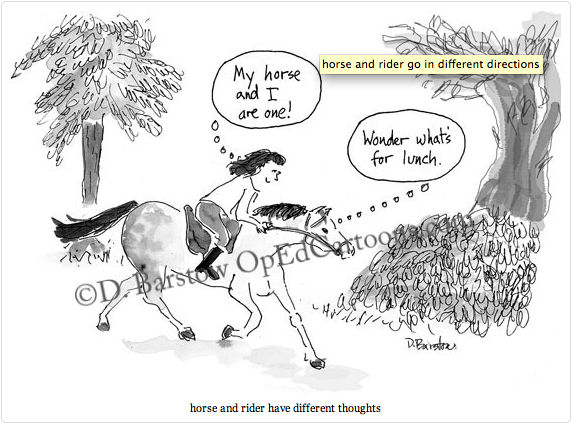 The cartoon above is from “Dana’s Doodles” and she has a ton of cute stuff, including adorable stall cards. I’ve always been a fan of fat pony cartoons. 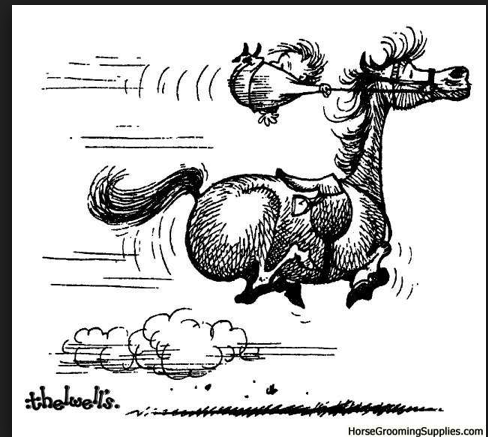 Laurie Pace may paint horses the way I “feel” about them, but fat pony cartoons capture my “life” with horses. 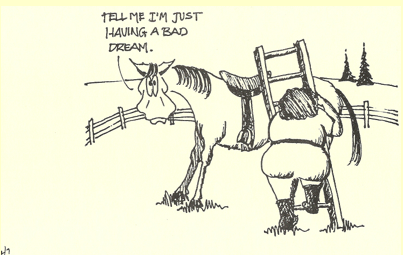 I decided my Friday afternoon could be productively spent looking up horse cartoons that made me laugh. Here are my favorites. 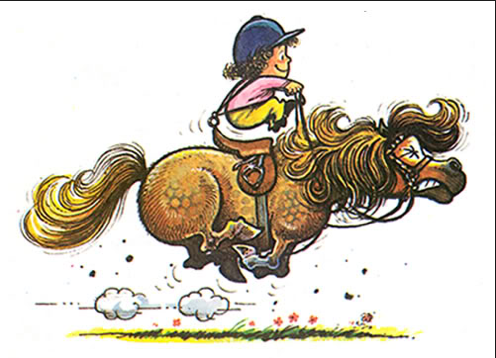 And then of course there’s the one and only Thelwell. 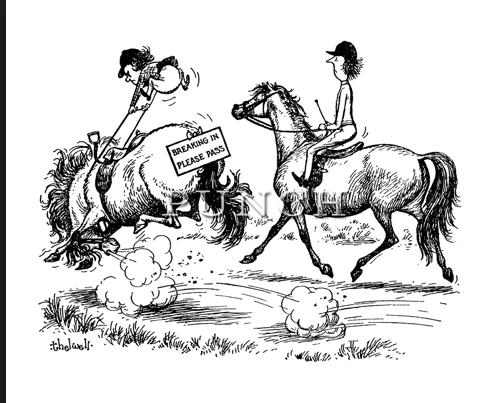 Thelwell was probably the first fat pony cartoons I came across. Here’s a few of my favorites. 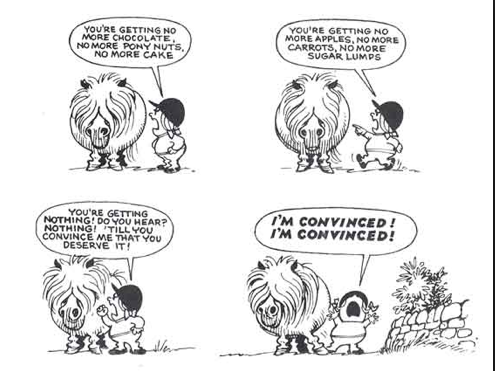 I love these cartoons – especially the first two. 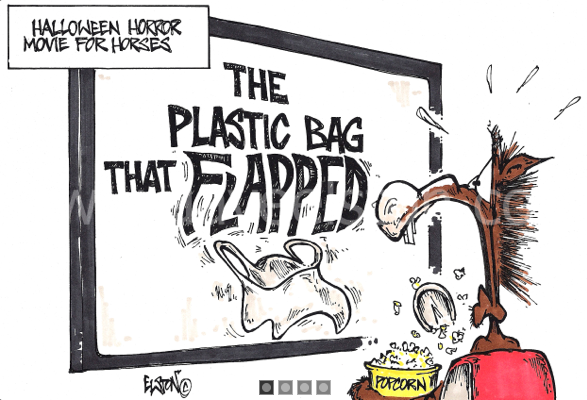 I have no idea why plastic bags are so scary, but my horse can spot one from a mile away and even though he doesn’t really spook at them anymore, he clearly worries about them until they are well out of sight.